Speaking Monday, Defense Minister Moshe Yaalon said that Operation Protective Edge is not over. Speaking Monday, Defense Minister Moshe Yaalon said that Operation Protective Edge was not over, and would not be over until there was a complete cease-fire from Hamas – and that meant a complete cessation of rocket attacks on Israel, one that would remain intact. On a visit to Ashkelon, Yaalon said that the IDF needed “a little more time” to finish up its operations to destroy Hamas' terror tunnels. 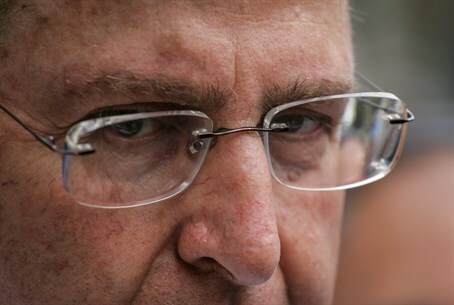 Yaalon said that the tunnel threat would be removed from Israel after the war was over. In any case, he said, the defense establishment was prepared to ensure that Hamas terrorists who tried to sneak into Israel via tunnels or other methods would be stopped. In addition, he said, Israel would insist that all rocket fire at Israel be stopped. Yaalon added that residents of Gaza would do well to take stock of their situation, and to think about who they wanted leading them. Had Hamas used the cement Israel allowed into Gaza for the construction of homes and schools instead of terror tunnels, things might have turned out different. "The campaign in Gaza is continuing,” he said. “What is about to conclude is the IDF action to deal with the tunnels but this operation will end only when quiet and security are restored to the citizens of Israel for a lengthy period. We struck a very severe blow at Hamas and the other terrorist organizations. We have no intention of attacking the residents of Gaza. In practice, it is Hamas that is attacking them and denying them humanitarian aid. I think that the international community needs to strongly condemn Hamas and also demand, just as we are demanding, that the rehabilitation of Gaza be linked to its demilitarization. On Monday night, Israeli media outlets, quoting Egyptian sources, said that Hamas and Islamic Jihad had agreed to an Egyptian demand for a three-day cease-fire. The sources said that the cease-fire could go into effect as soon as Tuesday morning. According to UN officials, Gaza sustained at least $5 billion in damage over the past month and a half of IDF shelling and ground action. In an interview with the Palestinian Authority news agency Ma'an, the PA's Labor Minister, Dr. Mufid Al-Hasayena, said that the PA would be appealing to interactional donors for funds to rebuild, and demanding that Israel fund construction efforts as well. The $5 billion relates only to physical damage to buildings and infrastructure, he said. It does not measure personal losses. Few Gazans had home insurance, and there was no way to estimate the amount of losses Gazans sustained. The sum was likely to rise significantly as the scope of losses becomes clearer, he said.